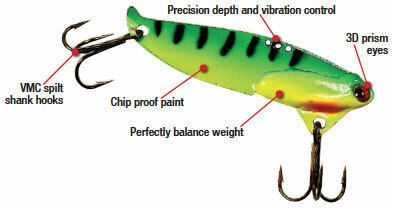 I have used similar blade baits and I really think these stand out. Good balance and quality paint. I bought both 8 packs and look forward to using them this spring on the river. They will get the true test in a week on Lake Winnipeg! These blades are a very good bait. Fun to fish when you get the hang of it. It would be better when you buy the 8 packs if you could pick your colors. Overall a good value. These blade baits work very well. Fast shipping.